Duke Energy has called the Carolinas home for more than a century. Throughout that time, we've been honored to serve our customers and communities by delivering reliable, low-cost electricity. To further this commitment, we have invested more than $9 billion across our six-state region over the last decade to modernize our power plant fleet and to expand our use of more efficient energy sources including natural gas, cleaner coal and solar power. We've retired half of our coal plants in North Carolina, and have reduced our carbon emissions by 28 percent in the state from 2005 levels. We are investing approximately $2 billion to help build the Atlantic Coast Pipeline to bring new supplies of natural gas to Eastern North Carolina, one of the few regions in the Southeast that is not directly served by a major pipeline. This new supply will serve our natural gas power plants, attract new businesses dependent on natural gas and stimulate economic growth in the region. 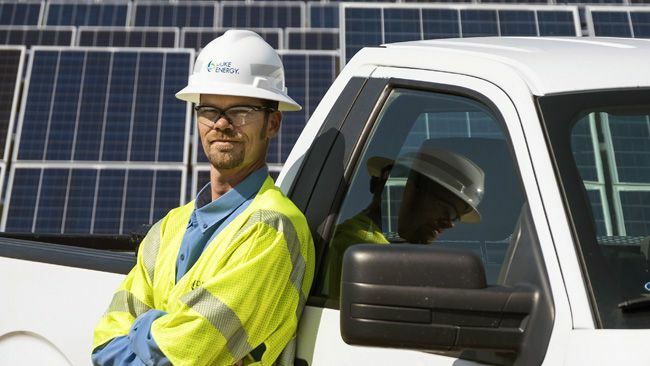 We are also substantially increasing renewable energy, notably through a $500 million investment in new solar facilities in North Carolina, including what will be the largest solar plant east of the Mississippi River. Together, these projects will increase our solar capacity in the state by 60 percent. At the same time, we are maintaining our focus on keeping our costs low. Electricity prices in North Carolina are nearly 20 percent below the national average, creating a substantial competitive advantage for our state. As we continue this shift toward a cleaner, more diverse mix of energy sources, we remain focused on providing safe, reliable and affordable electric service to our customers. The accidental spill of coal ash into the Dan River this past February reminds us that we must continue to focus on operational excellence. Duke Energy is deeply committed to this effort. We are determined to lead the way in addressing this national challenge and to set a high standard for the safe and responsible management of coal ash. Although there are several safe options for permanently closing ash basins, there is no one-size-fits-all solution. Every ash basin is unique and the appropriate methods will vary based on site-specific factors that must be evaluated by engineers and environmental experts. As Duke Energy moves forward with these closure plans, we are focused on setting a new standard for coal ash management. These steps include establishing a national advisory board of independent experts to provide insight and perspective on the company's closure plans and strategies. This panel  managed by the University of North Carolina at Charlotte (UNCC)  includes some of the nation's most respected experts in engineering, waste management, environmental science and risk analysis. In addition, Duke Energy has created a new Coal Combustion Product organization to provide rigorous management for all of our coal combustion production across the company. This team will be responsible for advancing Duke Energy's comprehensive plan to permanently close all of our ash basins, including the company's 32 basins in North Carolina. All of us at Duke Energy take pride in always meeting our customer's energy needs  no matter the weather, no matter the time of day. The improvements we are making will help ensure that we can serve each local community even better with clean, safe, reliable power in the years to come.